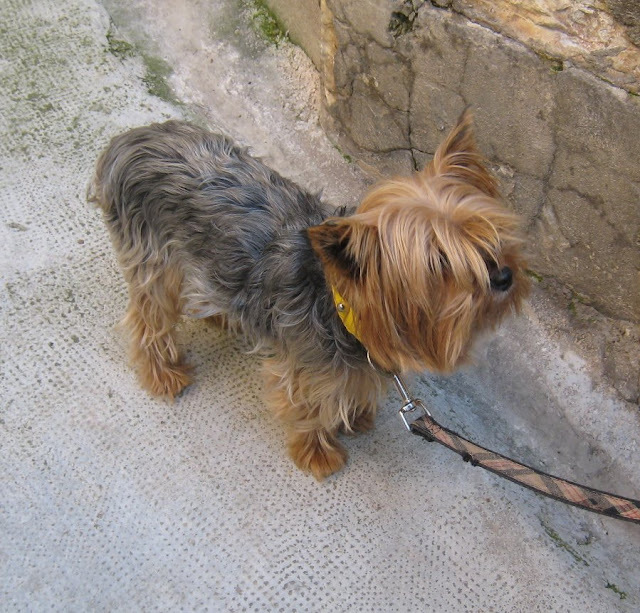 Olivia, the little Yorkie, is the companion of Océane, whom we met yesterday in the medieval village of Roquebrune. She's 8 years old, same as her friend, and is sporting a short haircut which seems to be comfortable for a Yorkshire terrier and fairly easy for an owner to deal with. I'll have to show this to granddaughter Olivia when I return! !